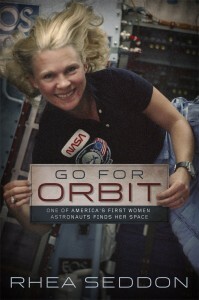 Home » Astronauts » May I Borrow The Jet? May I Borrow The Jet? Remember when you were young and you asked to borrow your parents’ car for a date? What if you could borrow something faster? 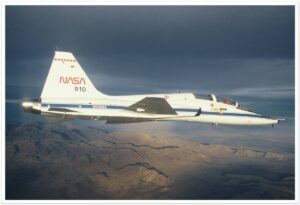 When I became an astronaut, non-pilot Mission Specialists (MSs) had to learn to fly in the backseat of NASA’s T-38 jets. We had instruction in the communication and navigation systems followed by training in doing the actual flying. The T-38s were slick little planes. They could speed around at 700 miles per hour at 40,000 feet and travel 800 miles in one “hop,” or flight. MSs had to fly a certain number of hours a month to train, and then both they and the pilots had to remain “proficient” going forward. Yes, the jets were used for transportation to training sites. More important, though, they were used to teach us how to be skilled crew members in a flying machine. I learned which pilots to fly with, and I would tag along while they got their monthly flight time. 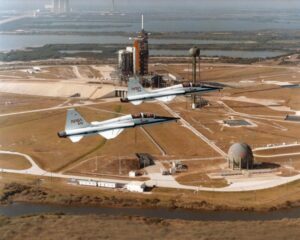 Sometimes, we would fly to Space Shuttle landing sites (like the Kennedy Space Center or Edwards Air Force Base) to practice flying approaches like the Shuttle would fly. If we needed to see a piece of space equipment that was in development, we would fly to a contractor facility. But sometimes we’d fly someplace fun. Tinker Air Force Base in Oklahoma was a nice distance away, and their base café served a great lunch: the renowned Tinker Burger. And in El Paso, we could borrow the airport car and go out for Mexican food and pick up fresh, warm tortillas to-go. We could even “borrow” the jets for the weekend. Once I was engaged to Hoot Gibson, weekend trips became a part of our lives. We’d often fly to see our families—Los Angeles for his, Tennessee to see mine. When we needed a beach vacation, my sister lived near Homestead Air Force Base in south Florida. Also, we would fly to San Diego to visit his young daughter, Julie, on a regular basis. Women flying in jets were still rare back then. Imagine the surprise of the ramp crewman who came out to welcome us to the airport when the flyer in the back seat of the plane took off her helmet and out cascaded long blonde hair. As with the family car, there were rules. The planes could be checked out on Friday afternoon, but they had to be returned by Sunday evening. Planes had to be refueled at military bases or at places that offered military rates for fuel. And there would be heck to pay if you brought one back with scratches or dents. Cross country training flights were one of the great perks available to military aviators. 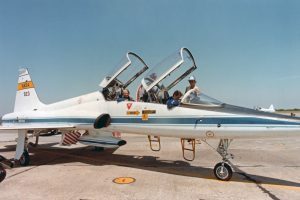 NASA’s T-38 had a decent sized luggage pod, but some jets only gave you the equivalent volume of two shoe boxes into which to cram your weekend attire. ….at least that was my excuse for wearing my flight suit to the bar! You paint a clear vision of your T-38 flight time with Hoot! How many couples have this story?! Rare to no one else I’m guessing! I would give almost anything for a flight in a T38. Once while flying in a Cessna with a friend in southern Louisiana we ran into a couple hot shot pilots flying a T38 (likely astronauts) at a small airport. They were as cool as it gets. Thanks Rhea for all you did to advance out space program! I loved this! What a way to “date”! When I was taking my wife out on dates I was flying a citation mustang jet for a company and they would often let me take the jet to pick up my date and go somewhere.